SpongeBob SquarePants © 2012 Viacom International Inc. Finally, something exciting! 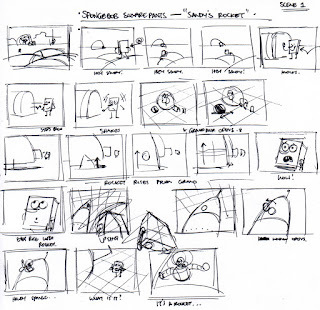 For the next couple of weeks in my Advanced Storyboarding class, we're drawing Spongebob! 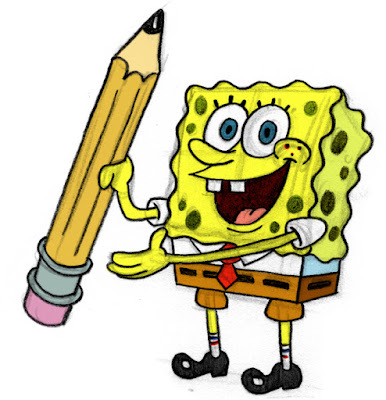 We've been given the script (actually, the transcript) and dialogue track (audio recorded directly from the episode) for an episode from Spongebob's first season titled "Sandy's Rocket". For obvious reasons, we were also instructed to not watch the actual episode until after completing the project. 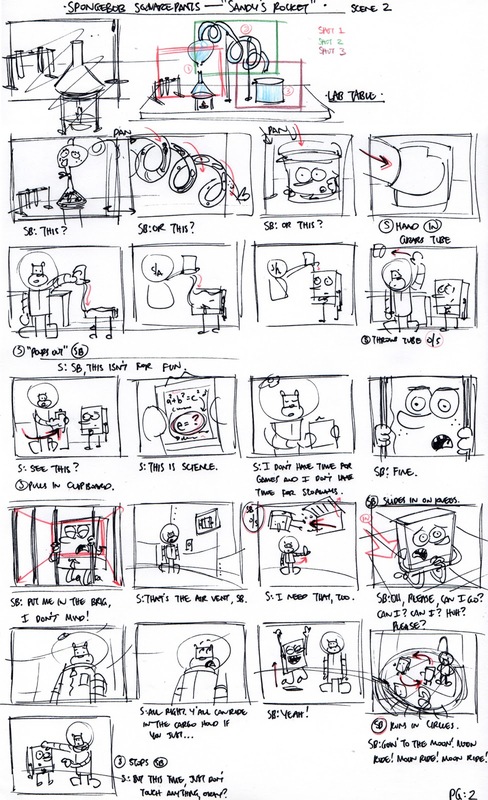 The episode was actually co-written and boarded by one of my favorite board artists: Sherm Cohen! 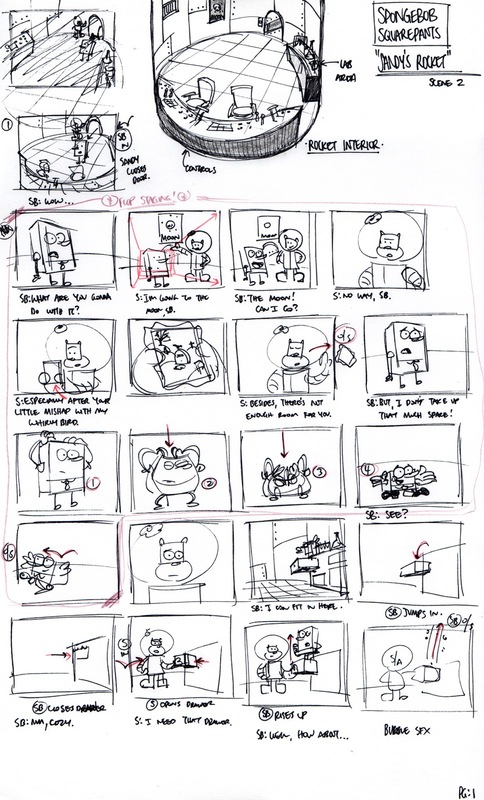 Sherm has been a HUGE influence on me through his great blogs, his "Storyboard Secrets" DVD set, and through Facebook/Twitter, where he constantly posts new job listings. A genuinely great and nice individual that I simply cannot praise enough. Needless to say, I am pumped for this project. Pumped! Woo! First round is thumbnails! We only had to choose one scene from the 11-minute episode. I chose the second one (and also boarded the first, cause I can). Here be me thumbs, mateys! Argh! 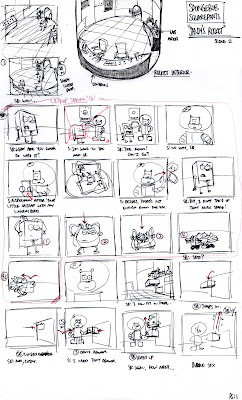 Next will be the rough boards, then the final storyboards. I also had to sketch around to figure out how to draw the character. 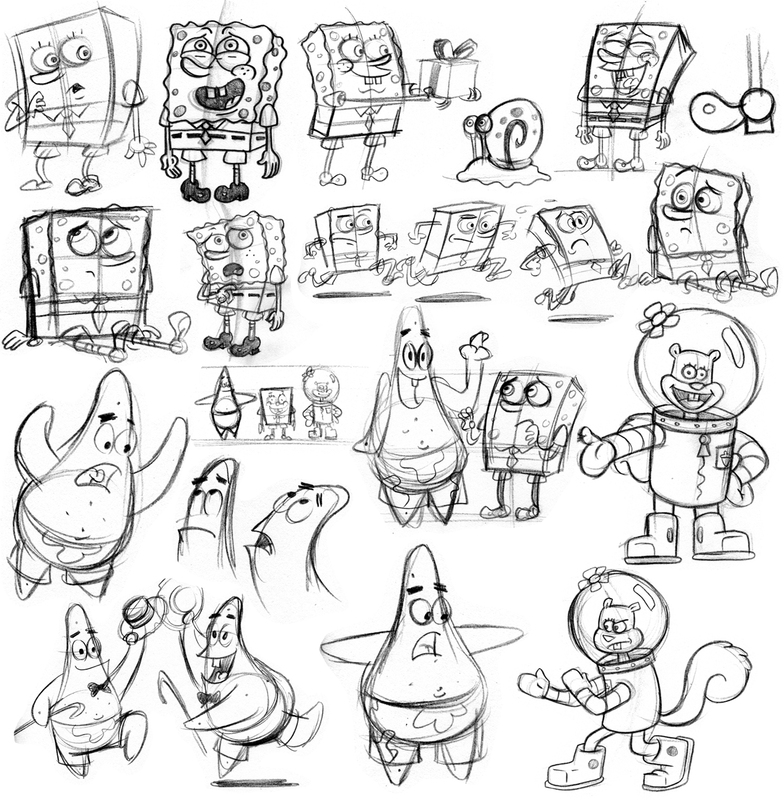 Most of the sketches below are just me [poorly] copying Sherm's work. Imitation is the most sincere form of flattery, I think they say or might've said at some point somewhere. 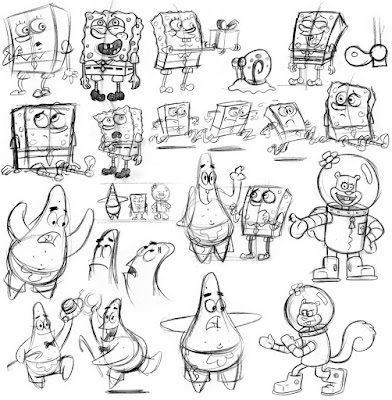 SpongeBob SquarePants and related characters © 2012 Viacom International Inc.